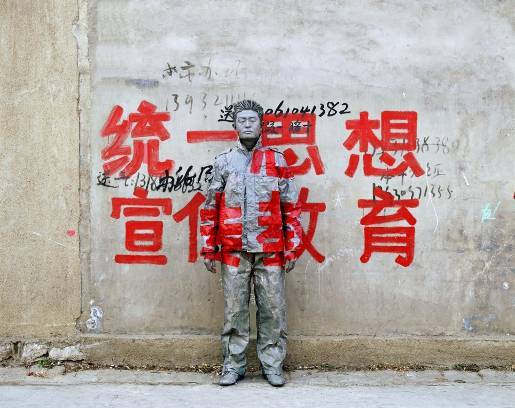 Chinese artist Liu Bolin has developed a reputation for disappearing in Beijing. A graduate of Sculpture Department of Central Academy of Fine Arts in China, he first worked with sculptor Sui Jianguo in Beijing. 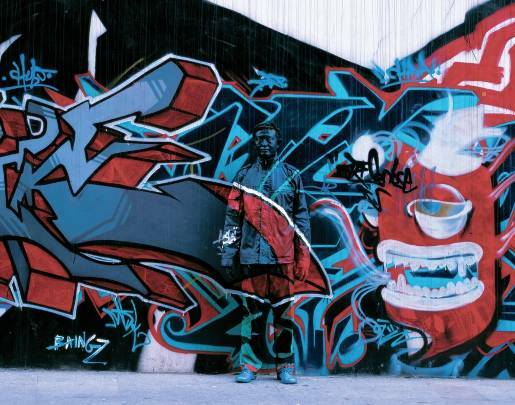 Bolin made his name known through series of performance art photographs and posters, “Urban Camouflage”, “Hiding in the City”. Bolin’s work is now performed, displayed and talked about around the world. 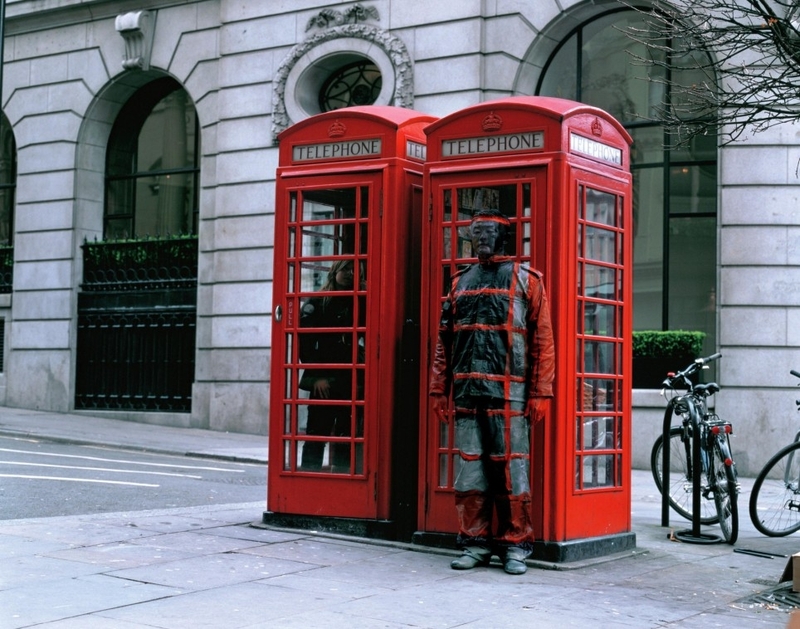 This photograph, for example, captures Bolin blending into a London pair of telephone boxes. Liu’s first series, “Urban Camouflage” began in Suoija Village, in Chaoyang District, specifically built for artists in 2005. Liu was a member of the artist community based there when authorities demolished the buildings because of what was claimed to be illegal occupation of the land. 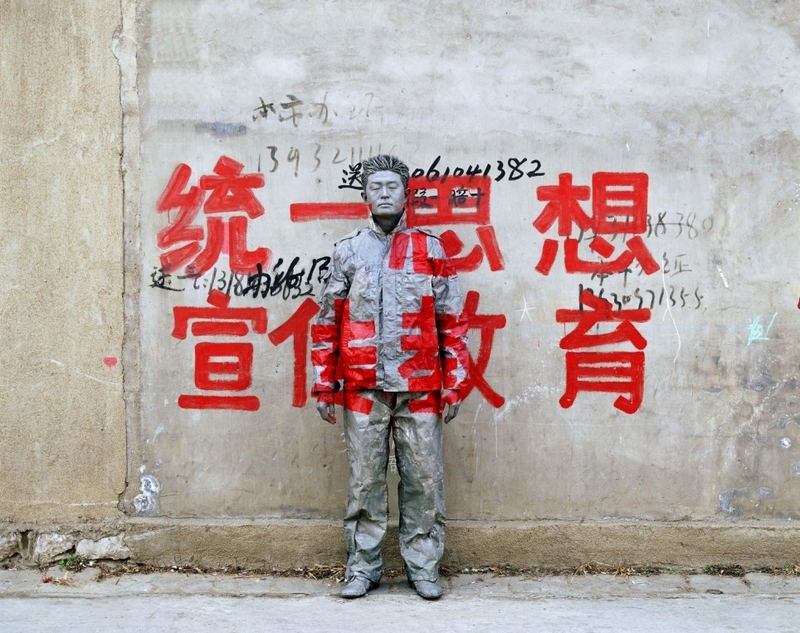 Liu Bolin started making himself invisible among the ruins of the art precint, a statement of protest. Most of Bolin’s paintings involve between five and ten hours of body painting and photography. At first Bolin, a poor graduate, asked friends to help him prepare. Now he is able to employ assistants, usually art students. 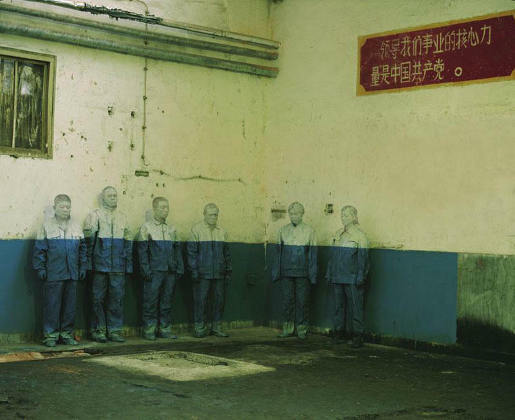 In some cases he prepares other people to be the invisible artists, as in this early piece, “Laid Off Workers”, featuring six factory workers who had lost their jobs in the 798 Art District, Suoija Village. 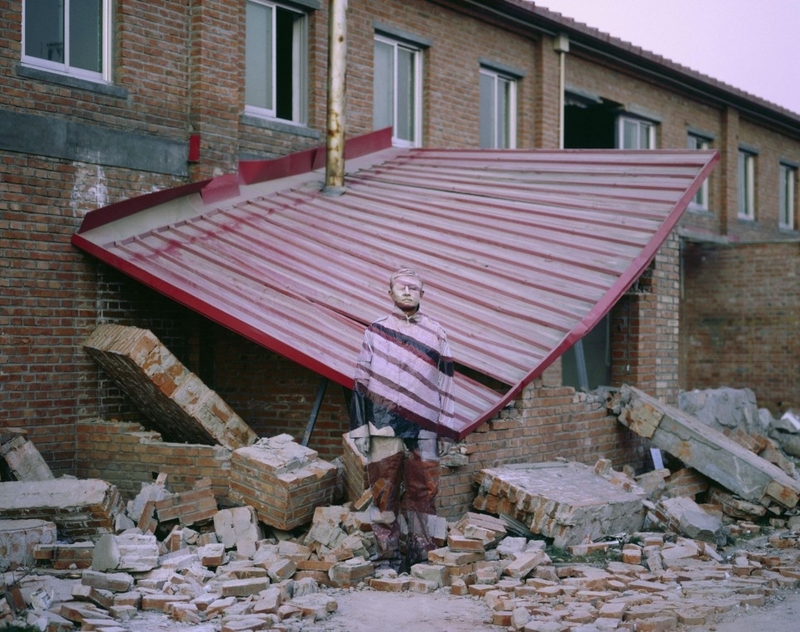 Many of Bolin’s photographs portray the realities of urban development in China. Here Bolin stands by a wall covered with graffiti. 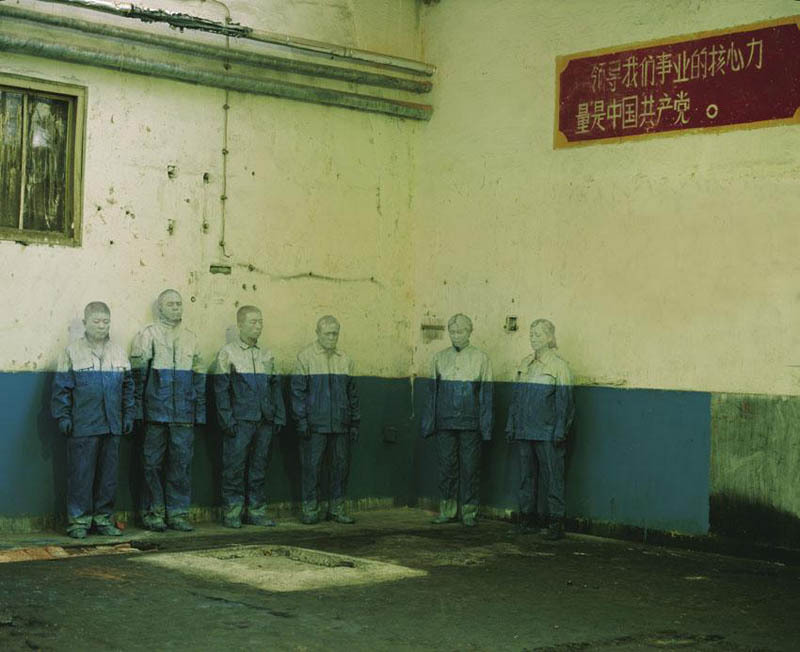 See more of Liu Bolin’s photography at Eli Klein Fine Art Gallery, Vanguard Gallery, Galerie Paris-Beijing, Boxart Gallery and IFA Gallery. Liu Bolin’s Invisible Man work is similar to that of Dutch artist Desiree Palmen. See also Ogilvy’s campaign for UNICEF featuring the work of Ghuangzhou painters Haohui Zhou and Bing Liu, in which homeless children appear to be invisible.